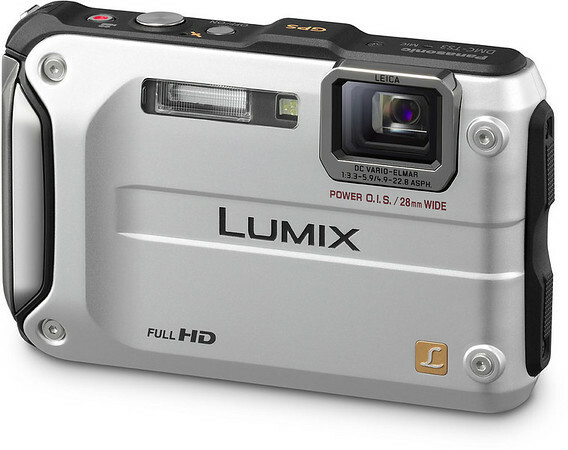 The Panasonic Lumix TS3 is a shockprook, waterproof and dustproof digital camera. The TS3 features a 12.1MP sensor, 4.6x optical zoom lens and a 2.7-inch LCD. The Lumix TS3 also captures 1920 x 1080 AVCHD video and offers high speed still image frame rates of 3.7 frames per second for up to 7 frames. The TS3 is waterproof down to 40 feet, shockproof to 6.6 feet and freeze proof down to 14° F.